Coast Music Therapy is the largest California provider of music therapy as a related service in the educational setting. Since 1999, our Board Certified Music Therapists have provided special education music therapy services to more than 25 San Diego County school districts and served more than 1000 students through the Individualized Education Program (IEP). We are a Non-Public Agency (NPA), certified through the California Department of Education to provide special education services to schools. Music therapy was formally added to the California Code of Regulations under the list of related services in May 2014. This law clarified the role of music therapy in special education and specified the professional credentials needed to provide music therapy. Read more about these regulations here. IEP Music therapy can only be added to a student’s IEP if a music therapy assessment has determined it is required in order for the student to benefit from their educational program. Service must be discontinued once the student no longer requires it to progress. Private Any child or teen can attend private music therapy sessions, although the private music therapist will want to discuss the child’s potential benefit with the family before commencing treatment. Services may continue until it is agreed they are no longer needed. IEP The music therapist must legally assist with and document on the specific IEP goals that the team agreed required additional support. These goals are non-musical in nature. Private Music therapy in the private setting can support a wide array of needs including non-IEP goals identified by the music therapist or parent, and musical goals such as learning an instrument. IEP Therapy is provided at the student’s school site and will typically include peer integration, collaboration and consultation with other IEP team members and assistance with generalization. Legally, the music therapist must use interventions based on research, such as techniques from the fields of Neurologic Music Therapy or Applied Behavior Analysis. Private Private music therapy is often provided in a one-to-one setting at a therapy clinic or the child’s home. If appropriate, sessions can involve family members, peers, or other professionals. Q Can music therapy be part of a student’s Individualized Education Program? 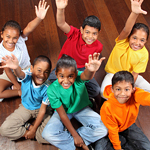 A Yes, according to the June 2010 US Department of Education (OSERS, 2000) clarification, music therapy may be considered as an IEP-related service for a student after an assessment determines services to be not only useful, but required for the student to benefit from his or her educational program. In addition, music therapy was specifically added to the California Code of Regulations in 2014 as a related service for special education. Read more here. Q Who can conduct a music therapy assessment? A A music therapy assessment of any kind can only be conducted by a Board Certified Music Therapist. Music therapists are credentialed professionals who have completed a degree in music therapy including a clinical internship, and who have passed The Board Certification Examination in Music Therapy. Board Certified Music Therapists carry the credential “MT-BC” (Music Therapist- Board Certified) after their name. Q How is music therapy added to an IEP as a related service? School district receives a request for music therapy assessment from the parent or another member of the IEP team. Upon team determination that a music therapy assessment is appropriate, school district develops assessment plan. After parent signature, music therapist begins assessment process. Music therapist reviews student IEP and educational records, receives staff and parent input, observes the student often in a music and non-music setting, conducts direct trials with IEP-aligned music therapy interventions, and prepares a report. Music therapist presents assessment at an IEP meeting. If assessment findings and IEP team agreement determine that music therapy is a necessity, the service is added to the related services section of the IEP and the music therapist is added to relevant IEP goals as a collaborative support. Music therapist reviews the necessity of music therapy at each annual and triennial IEP to verify that service continues to be required for the student. When assessment determines that music therapy is no longer a necessity, services are discontinued. 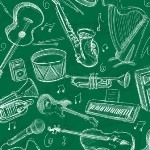 At this time, the music therapist can provide further suggestions for the continued use of music by staff and parents. Q What is Coast Music Therapy’s assessment process for music therapy through the IEP? Are specialized music approaches, beyond any currently available to the learner’s program, necessary to access the learning strength in music? Do inadequate progress, interfering behaviors, or limited number of instructional approaches require that the learner receive additional support to achieve IEP goals? Does research support music therapy as an appropriate intervention for the learner’s specific IEP goal areas? Does research support that the learner’s diagnosis shows learning strength for music use to enhance educational performance? Q What types of students are most likely to require music therapy as a related service? "I am fortunate that I have several students who qualify for music therapy. My students are highly engaged and I have truly seen greater growth on their IEP goals when they have the music support. Many songs have become part of the whole class routines because they provide a wonderful and engaging means of supporting student learning across all academic, behavioral, and social subjects."